We are constantly reminded that we should make sure there are working smoke alarms in our home and to test them and change the batteries on a regular basis. In some towns, members of the local fire department will even go door-to-door to provide this warning and to offer to come and test any smoke detectors. They will typically use a can of spray that is designed to set off a smoke alarm if it is working properly, since the machines are designed to detect the particulate matter in the smoke. In addition to the smoke alarms, we are also warned that it is a good idea to also have a carbon monoxide detector in our homes, though often you can buy one detector that detects both smoke and elevated levels of carbon monoxide. These devices can save the life of you and your family if they are working properly, and that is why it is so important to not only have them, but to test them. 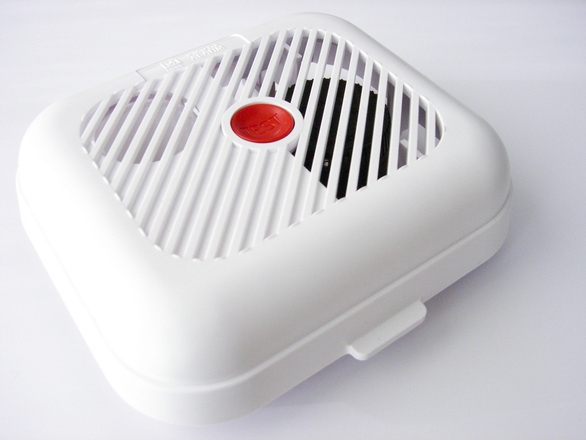 However, according to a recent news alert from Good Housekeeping, Kidde, a major manufacturer of smoke alarms and carbon monoxide detectors has just issued a massive recall due to a concern that these alarms do not work as they are intended and may fail to go off in an emergency. The reason they may not work in an emergency is because they may not have power. Since many of these devices run on 9 volt batteries, the devices are designed to emit an audible chirp to tell us that it is time to change the batteries. It is likely that you have heard a smoke alarm chirp at some point in your life, so you know exactly what this sounds like and how it will annoy you until you replace the batteries. It should be noted that this is a voluntary recall, and there have been no reports of anyone being injured as a result of this design defect, but the company is urging anyone with one of these faulty devices to contact them, so it can be replaced with a safe and working model. While it is fortunate that nobody was believed to be injured as a result of this product, it is not hard to imagine how such a defect could result in serious personal injury or death. In the case of smoke detectors, we rely on them to warn us of a fire while we are sleeping. In the case of carbon monoxide, since it is a colorless and odorless gas that can result in asphyxiation, these detectors are likely our only warning. When a smoke alarm, or any other product in our homes, does not work properly, and that defect results in serious personal injury, you should contact a Boston defective products attorney as soon as possible to see if you have a valid claim. One thing to keep in mind is that these are not generally isolated incidents, so an experienced products attorney may already have a great deal of information about the product responsible for your injury, and this can be of great help.